Dubai, UAE; 28 November 2018: Following the launch of the #MyDubai social media competition by Dubai’s Department of Tourism & Commerce Marketing (Dubai Tourism), residents across the city are competing for the chance to win two free Emirates return flights to help them welcome their friends and family to the emirate. With a host of upcoming events taking place, Dubai is a playground for sporting enthusiasts, and what better way to entertain your fitness friends than with the line-up of fantastic activities scheduled throughout the next few months? The competition calls on all residents to upload their favourite photos of life in Dubai, highlighting what makes it their ‘home’ on the MyDubai Facebook, Instagram and Twitter accounts by using #MyDubai and #MyInvite to be in with a chance of winning. As a city well known for its annual sporting agenda, this competition encourages residents to spread the word to their friends and family, inviting them to experience Dubai’s diverse product offering and world-class events for themselves. 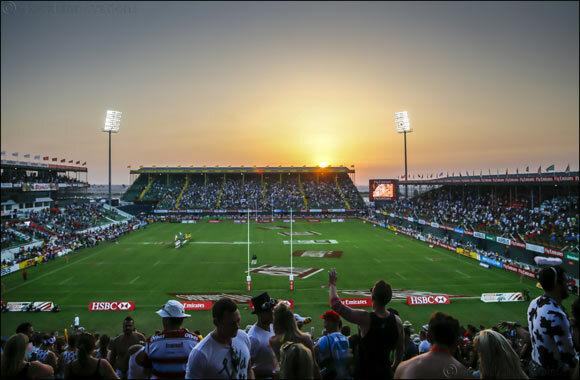 Enjoy edge-of-your-seat entertainment as the best sevens rugby teams battle it out at the 49th edition of the Emirates Airline Dubai Rugby Sevens. Cheer on your favourite teams and experience a whole host of entertainment at one of the most exciting sporting and social events in Dubai. Attracting more than 100,000 fans, the three-day event has lots to offer, keeping everyone entertained – from sporting action, concerts, competitions and family entertainment, to buzzing food and beverage zones. Team up with friends, colleagues or family members and head to Hamdan Sports Complex to experience one of the world’s muddiest obstacle courses and physical challenge. The challenge doesn’t only require physical strength, it also requires stamina and mental grit, the challenge is open to both adults and children where kids get the opportunity to tackle a 1.5km Mini Mudder course. Launched in 2010, the Spinneys Dubai 92 Cycle Challenge is a popular annual event that starts and finishes at the spectacular Dubai Autodrome. Attracting thousands of cyclists each year, the race includes two distance options – 53km and 92km. The route takes riders on Dubai’s multi-lane roads with the full support of Dubai Police, with some major roads even closed off for cyclists on the day. The Dubai Desert Road Run allows participants to enjoy an outdoor winter run on safe road tracks at The Sevens Stadium. All participants will receive medals after the completion of a 3k, 5k or 10k, while the top three performers in each age category will receive trophies for their efforts. The #MyDubai competition, which started on the 15 October, will select two winners each week for 15 weeks, finishing on 31 January 2019.